"Lock in a lower rate!" "Refinance and save!" Everywhere you turn, there seems to be more and more hype about mortgage refinancing. But how do you know what’s right for your situation? One thing is sure: Your home—the very place you and your family sleep at night—is worth trying to make sense of it all! And we know you’ll sleep even better knowing you’re making informed, wealth-building decisions for you and your family. Refinancing your mortgage is basically just revising the terms of your original mortgage to make a new mortgage. Don’t worry, this doesn’t mean you end up with two mortgages. Instead, your first loan is technically paid off through the refinancing process and a second loan is created in its place. Usually, homeowners who consider mortgage refinancing want to cut back on their monthly payments, drop their interest rates, or switch mortgage companies. Some even think about refinancing to get cash for a large purchase they’re wanting to make. But if you’re in that camp, we want to help you steer clear of making a choice you’ll regret—and we’re not talking regret like wearing mismatched shoes on interview day. We mean serious regret, like turning your financial trajectory for the worse. 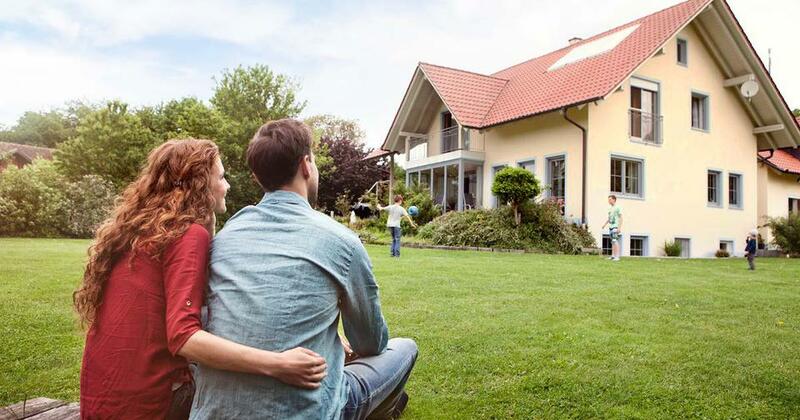 Refinance your home and save thousands. Who qualifies for a mortgage refinance? Lender requirements vary, but most lenders need to see that you’ve maintained your original mortgage for at least 12 months before they’ll consider your loan for refinancing. The best candidates for refinancing also have a regular income and at least 10%–20% equity in their homes. Lenders will also look at your debt and income to make sure your existing debt payments will not interfere with your new monthly mortgage payments. This is often calculated as your debt-to-income ratio. Basically, they want to make sure you can still pay your bills based on the amount of money you make. Some lenders will also ask for your credit score, which we refer to as your "I-love-debt score." With these particular lenders, lower credit scores may result in higher interest rates. But what happens when you don’t have any debt, and therefore don’t have a credit score? Worry not! Some lenders like Churchill Mortgage will use a manual underwriting process to determine your risk or likelihood of paying your mortgage on time. The time to refinance is when you want to make a less-than-desirable mortgage better, not when you’re looking for extra money to consolidate debt or buy a new car. In each of these scenarios, refinancing could be a smart financial move if it lowers your interest rate or shortens your payment schedule. The ultimate goal would be to lock in a 15-year fixed-rate mortgage with a new payment that’s no more than 25% of your take-home pay. In fact, this is the only kind of debt you’ll ever hear Dave say is okay. That’s because he wants you to own your home instead of your home owning you! The best way to gauge if refinancing makes sense for your situation is to do a break-even analysis. If you know you’ll be in your home long enough to benefit from the savings a lower interest rate and lower payment could bring, then it’s probably a no-brainer to refinance. Just estimate how long you plan on staying in your current home. Will you be there until your kids graduate and head off to college in four more years? Or is this your forever home you’ll retire in? Once you’ve got your timeline in mind, figure out how long it’ll take for your monthly savings to make up for what you would pay in the refinance closing costs. And yes, there will be closing costs just like when you took out your first mortgage. What is the average closing cost of a mortgage refinance? Depending on the lender, your home’s location, and the amount you borrow, closing costs for a refinance can cost 3% to 6% of the loan amount. Estimated refinancing costs typically don’t include property taxes, mortgage insurance, and homeowner’s insurance because you set all that up when you first bought your home. Remember, you’re revising the original mortgage, not starting completely from scratch. A refinance can include a new appraisal, title search, and application fees. That’s why it’s important to determine if the savings really justify the up-front expense. One way to avoid unnecessary fees is to ask for a par quote or zero quote. That means the closing cost estimates will not include origination fees or points (one point is equal to 1% of the actual loan amount). These are lender-imposed fees that are simply pre-paid interest. Hint: Don’t pay these! So, to get your break-even analysis, let’s say your closing costs will be $3,000 (3%) on your $100,000 mortgage, and you’re able to reduce your interest rate by 1%. This means you’ll save $1,000 a year, and it will take three years to recoup your closing costs. There’s no question that the absolute best way to buy a home is with a full cash offer. As Dave says, "Cash is king!" But a lot of homeowners didn’t start out this way. Instead, they bought the lie that the 30-year mortgage was the only option. But if your interest rate is low enough on your 30-year mortgage, there’s no need to go through the expense of refinancing just to get the shorter term. In this case, just use our mortgage payoff calculator to run your numbers and see what your monthly payment would be on a 15-year term loan. Then—and this is the thing that will put you 15 years ahead of the Joneses—be disciplined about paying that amount! Simply set up the adjusted payment to automatically withdraw from your checking account and, before you know it, that payoff balance will be at zero! For all other 30-year mortgages with high interest rates, refinancing to a 15-year term is the only way to go. The gains are simply undeniable. How much can you gain from refinancing? Let’s say five years ago you got a 30-year, $200,000 mortgage with 10% down, a 5.5% interest rate, and a monthly payment of almost $1,110 (excluding taxes and insurance). Over the next 30 years, you’ll pay over $360,000 in principal and interest. Refinancing to a 15-year mortgage at 3.2% interest only raises your payment by about $120 a month, but cuts your total cost from $368,000 down to around $273,000. And that’s including refinancing fees of $6,000. Do you see the whopping $95,000 in savings? For as little as what you would pay to go out for a nice dinner each month, you could cut 10 years of house payments completely out of your life! And not only that, you would automatically be $95,000 richer! Who doesn’t want that? What about refinancing my ARM or second mortgage? In the long run, an Adjustable Rate Mortgage (ARM) can cost you big time. That’s why we strongly advise against them. If you have an ARM, Dave recommends you refinance into a fixed-rate mortgage. Even if you have to write a check to pay for the closing costs, it’s worth it to avoid the risk of your payments going up when the rate adjusts. Now, if you have a second mortgage, that’s another story! A lot of homeowners with second mortgages want to roll it into a refinance of their first mortgage. But not so fast! If the balance on your second mortgage is less than half of your annual income, you would do better to just pay it off with the rest of your debt through your debt snowball. If the balance is higher than that, go ahead and refinance it with the first mortgage and pay it off in Baby Step 6 of Dave’s 7 Baby Steps after all your other debts are paid off. How risky is a mortgage refinance? By now, you’ve gotten a glimpse of the radical savings you can gain from refinancing. But let’s revisit that serious regret we said could come if you want to refinance your mortgage to pay off debt or make a large purchase. Are you really willing to lose your home just to buy a new car? Or to knock out a few credit card payments? Wiping out your home equity to pay off debt or buy new stuff puts your home at extreme risk—especially if you lose your job or encounter other financial difficulties. Even with the best intentions, the vast majority of people who take equity out of their home to pay bills don't change the behavior (overspending) that led to owing money in the first place. Credit card balances quickly run back up and are now combined with a higher, refinanced house payment. Can you say, double the debt? Take it from us, you don’t want to go there. And the good news is, you don’t have to! If you’re ready to get on the fast track to becoming completely debt-free, home and all, Dave recommends refinancing with the home loan specialists at Churchill Mortgage. They’ll help you get a mortgage you won’t regret! 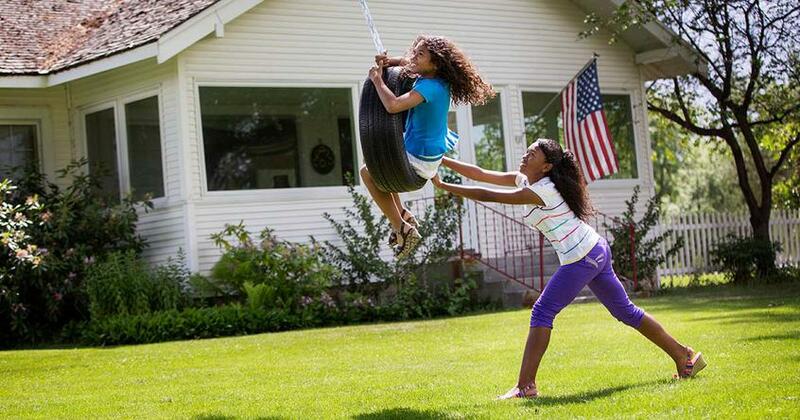 Can your family benefit from a refinance? A lot depends on your situation—your rate, the term on your current loan, even your reasons for refinancing. If you can pay a bill you promised to pay, pay it — even if it's unpleasant, inconvenient and the vacation fund doesn't get funded. You have options that will allow you to save your credit score and keep your integrity. The time to refinance is when you want to make a less-than-desirable mortgage better, not when you want to buy something with that money.